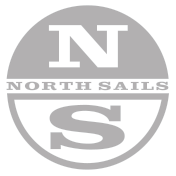 All-purpose The North Sails M-1 is made out of Dacron material, with a cross cut layout designed to sail in all conditions. It features a forgiving construction that makes the M-1 easy to trim, giving a smooth and even distribution of shape. All purpose, cross cut Dacron genoa allows for a fast but easily trimmed sail. Careful positioning of shape ensures that this sail will perform very well across the wind range. Heavy Air The cross cut TF-3 is a heavy airs jib manufactured from Dacron. The full radial TD-5 Spinnaker is our all purpose sail. It is manufactured from Superkote 75 & Dynakote 75.